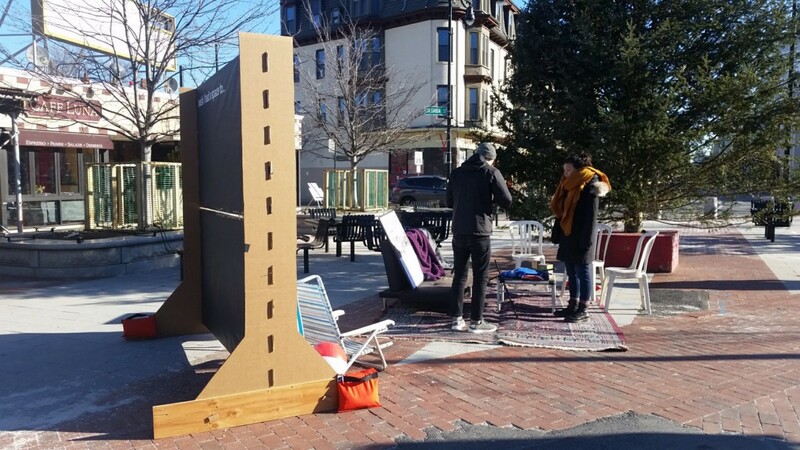 On Sunday, December 18th, 2017, CultureHouse set up an outdoor living room in Central Square in Cambridge, MA. 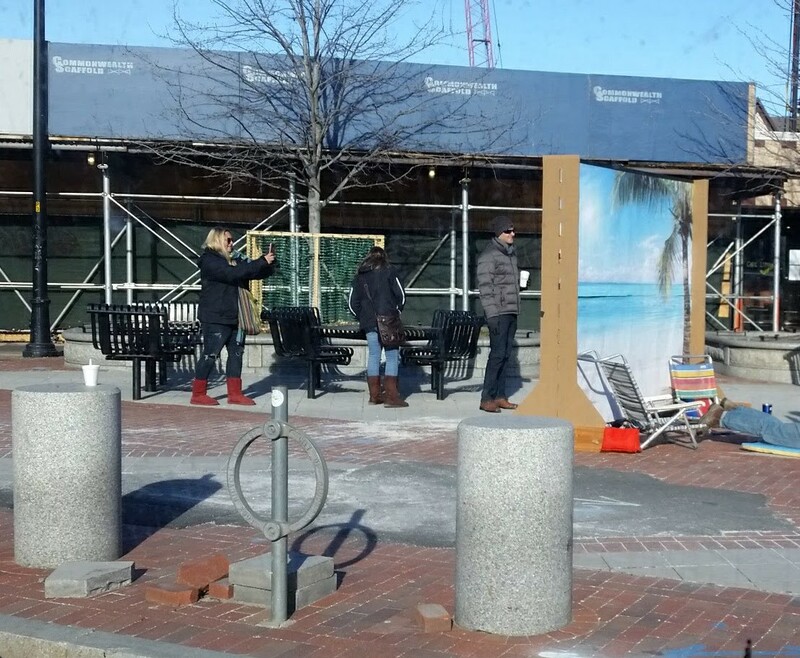 In the 28˚F weather, we brought out a couch, a rug, a table, some chairs, blankets, a tropical beach-themed photo booth, and a large prompt board. We placed the items next to a large tree in Jill Brown Rhone Park and then observed how it changed the way people interacted with the space. 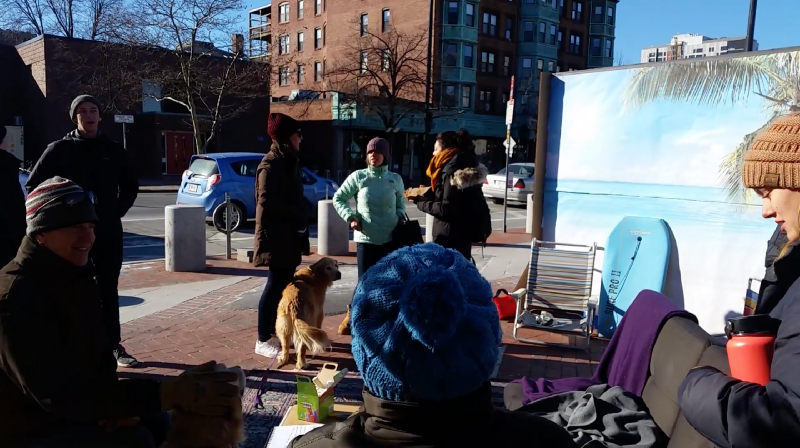 Over the past four months, the CultureHouse team (Aaron Greiner, Alisha Pegan, advisor Jeff Goldenson, and collaborator Better Block) has been developing a cultural space for the Boston area. Inspired by similar spaces in Copenhagen, CultureHouse will be a place to hang out, meet people, create, and share skills. It will serve as an indoor public space and communal living room for the city. 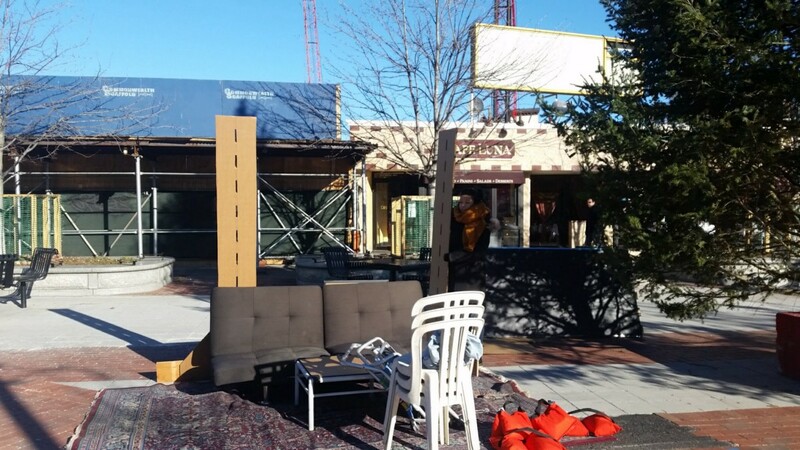 CultureHouse will act as a test kitchen for public space and streetscape improvements. Partnering with affordable local businesses, the space will host regular programming determined by the community. 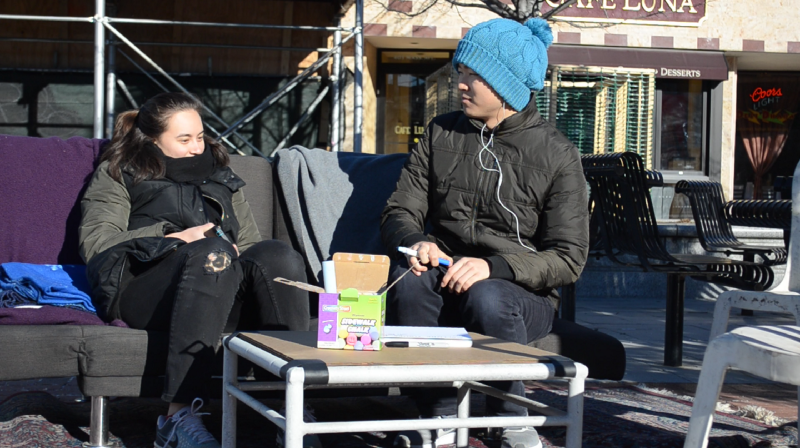 We decided to create a small pop-up version of CultureHouse to test our assumptions and get feedback on what kinds of spaces are needed to bring the community together. 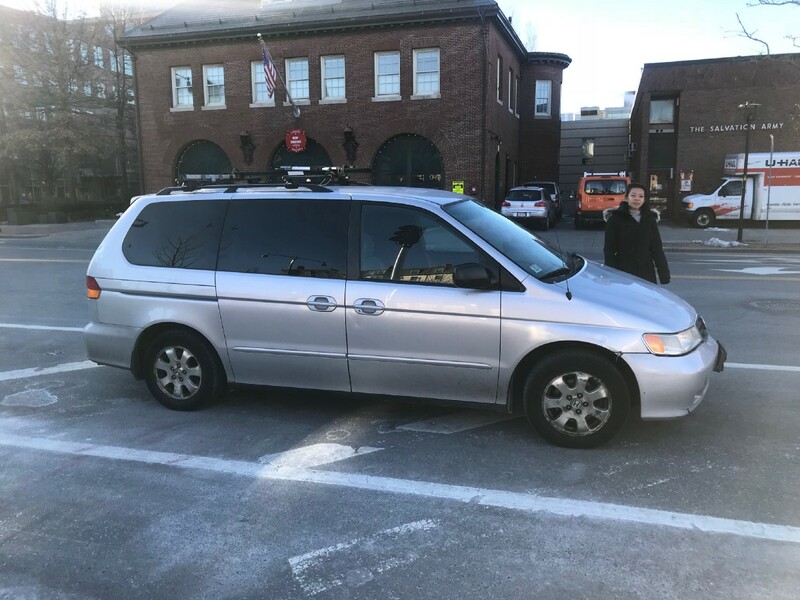 By looking at previous successful pop-ups, we put together a kit of parts that we could pack into a minivan and set up and take down in 15 minutes. We came up with three main elements. The first is a living room set with blankets and a guest book. 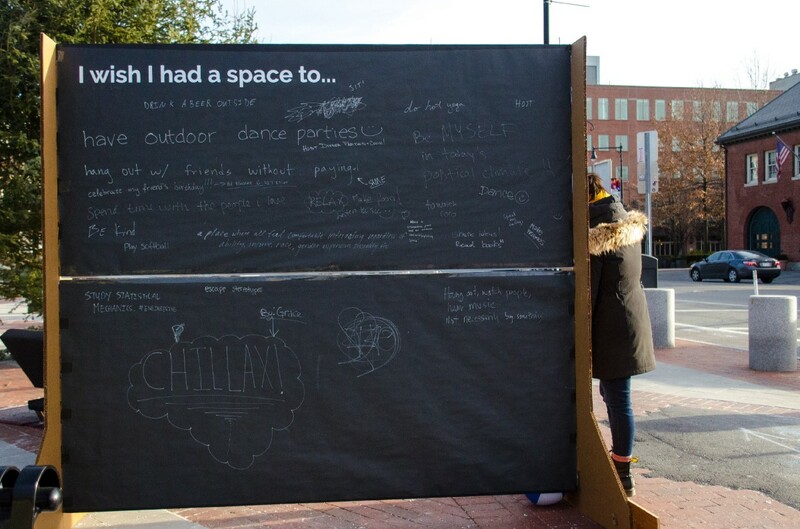 We chose this because we wanted to give the feeling that the pop-up was something people should feel comfortable entering and spending time in. 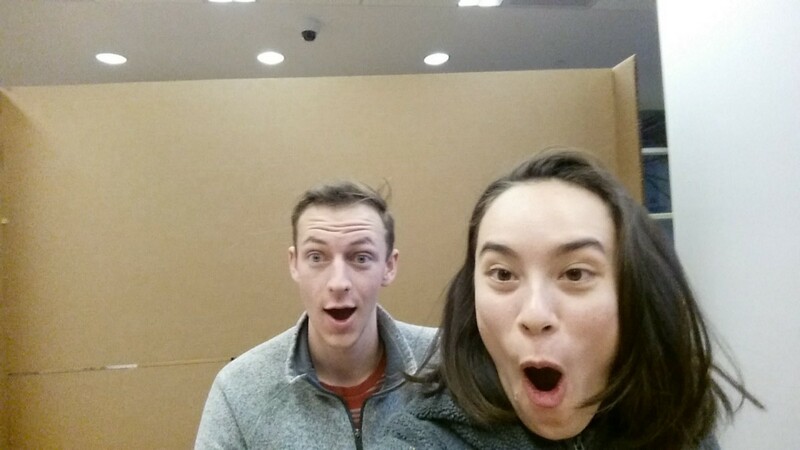 For our second and third elements, we created an assemble-able board with a prompt on one side and a photo booth on the other. The board was made from cardboard and is easily adaptable and reusable. For our next pop-up, we can simply change out the paper. Once we had all the materials collected and created, we loaded everything into the van and drove to Central Square. 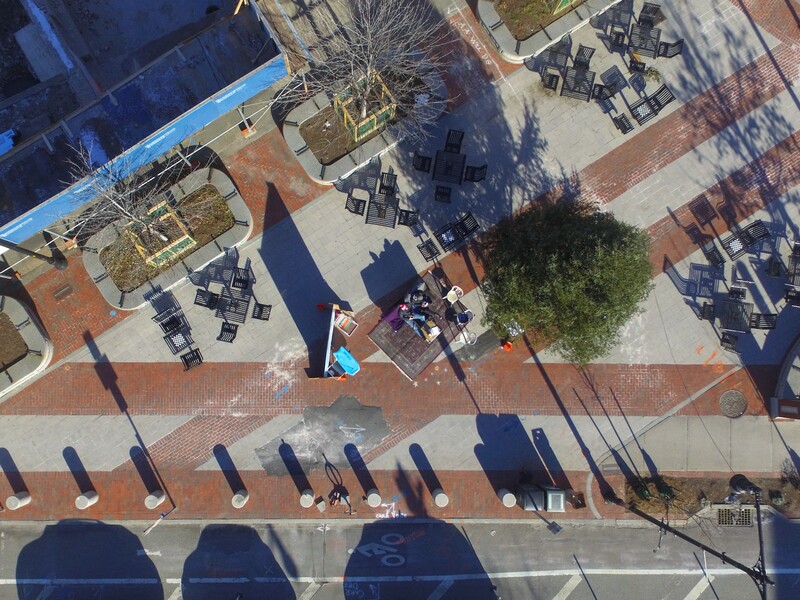 Central Square is an urban space that many people walk through, but few stay in. 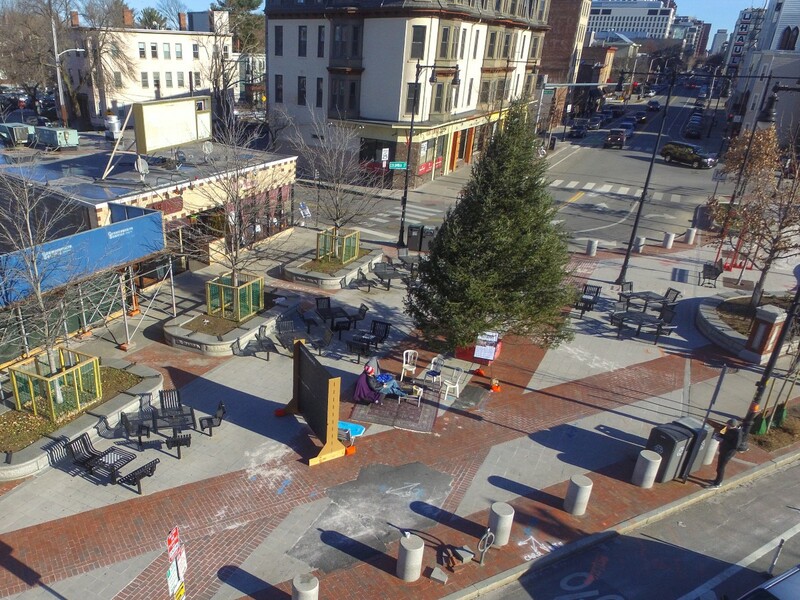 Unlike Kendall or Harvard Square, Central Square lacks the benefits of the economic development that has occured in the surrounding area. It has a vibrant and diverse community that could benefit from a cultural space dedicated to public life. 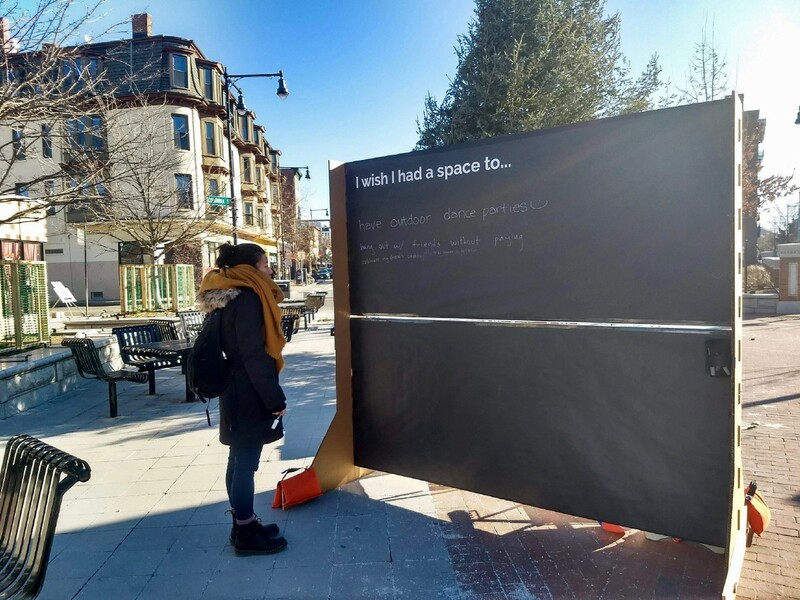 In order to gather community feedback about CultureHouse, we set up a board with the prompt “I wish I had a space to…” and let passers-by write their answers. We found that most people stopped to read what was written, and many added their own ideas. 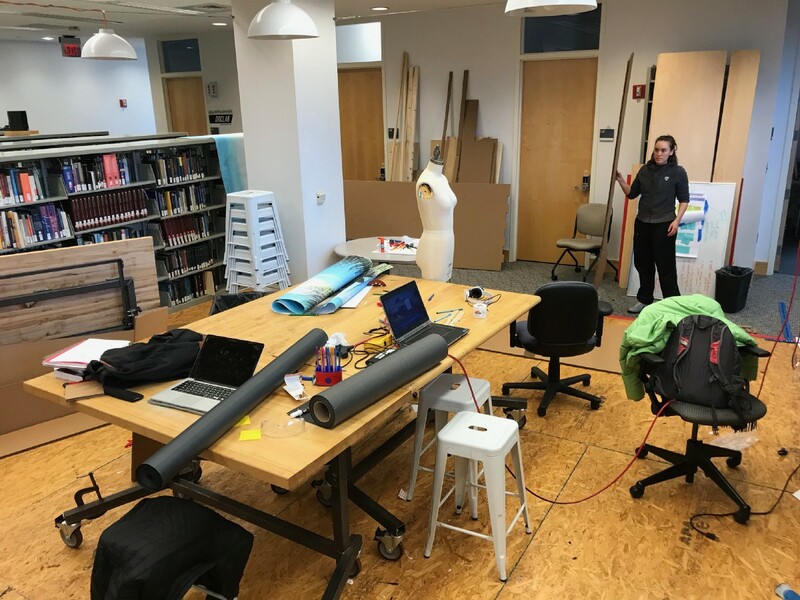 We were able to see the wide range of ideas, and the common thread was that they wanted a space where they could interact with others in a public setting. One community member wanted a space to cook so that she could host large dinners for everyone in the community. Others wanted a space to be with their friends, listen to music, play, study, and relax. 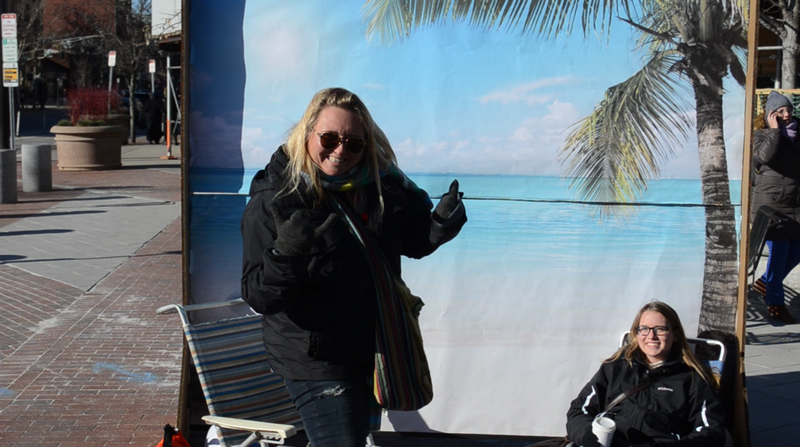 On the other side of the board, we set up a photo booth with a beach backdrop and associated props. Before we had even finished setting up, there were people asking if we could take a photo of them in the scene. 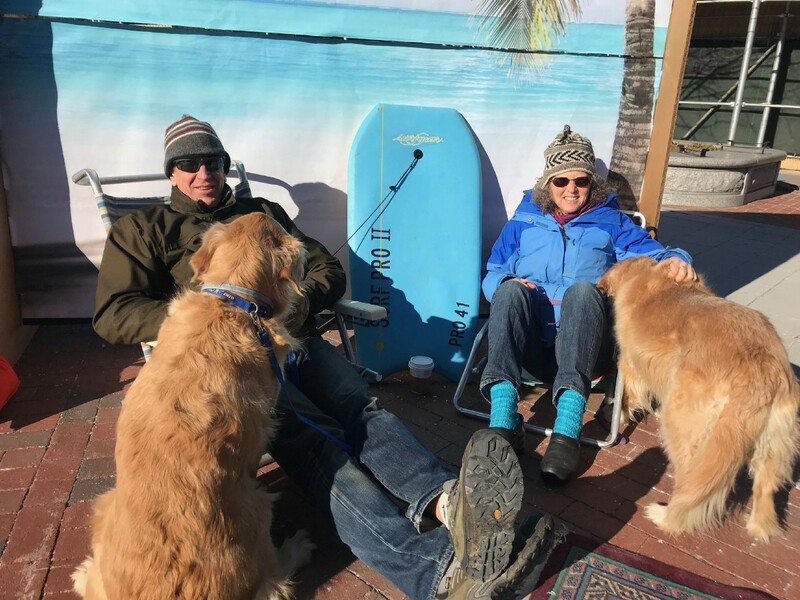 Even with winter coats on, people were still able to enjoy an unexpected day at the beach. As people walked by, even if they did not stop for a photo, it brought a smile upon their faces to see something so funny and different in a space that normally had nothing. 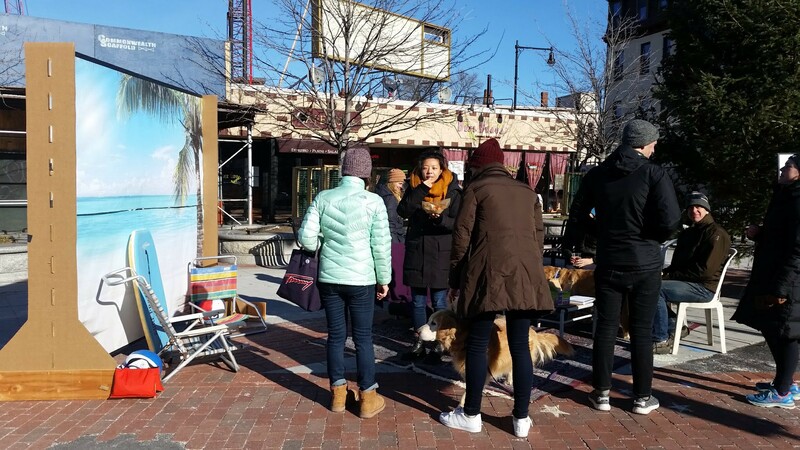 Many passers-by stopped to spend time in the space and ask us about the project. When we left the space to observe from afar, we noticed that people tended to read the sign we had placed there explaining the project and many people took photos. 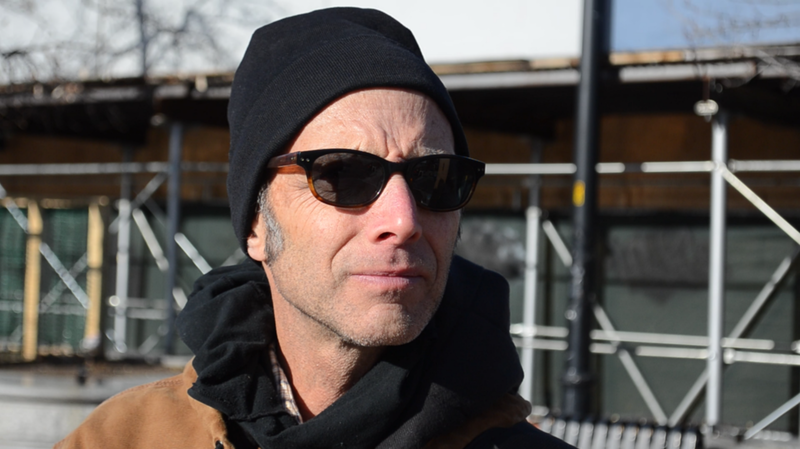 The pop-up dramatically changed the way people interacted with the space. In the time before we set up the pop-up we didn’t observe a single person that stayed in the park. However, during the event, 15% of people who passed by stayed and interacted with the pop-up. This increase meant that people were actually spending time in the space rather than just passing through. On a longer time scale, this has the effect of increasing traffic to local businesses in the area. 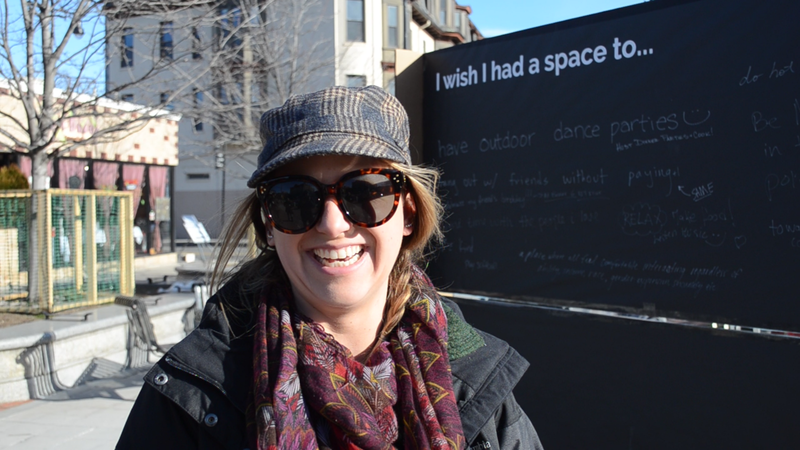 We got 28 individual responses on the prompt board, and many more through in-person conversations. 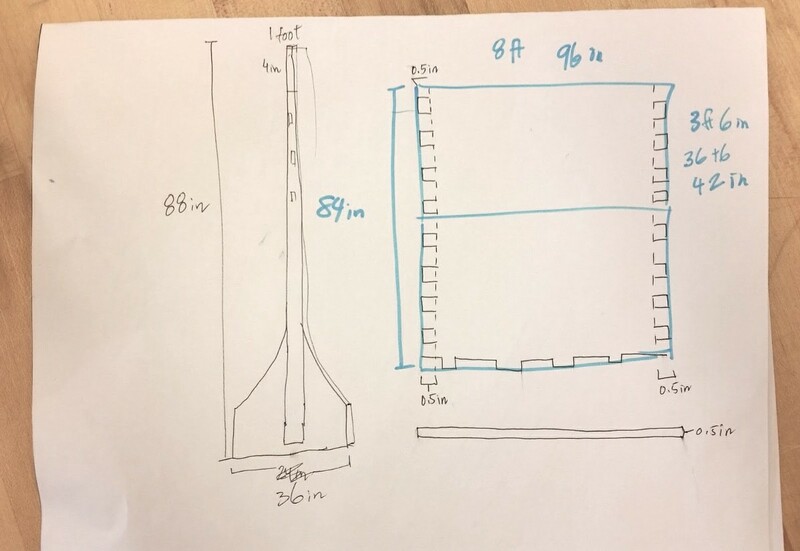 This data confirmed our initial assumptions about the kind of space that people are looking for. 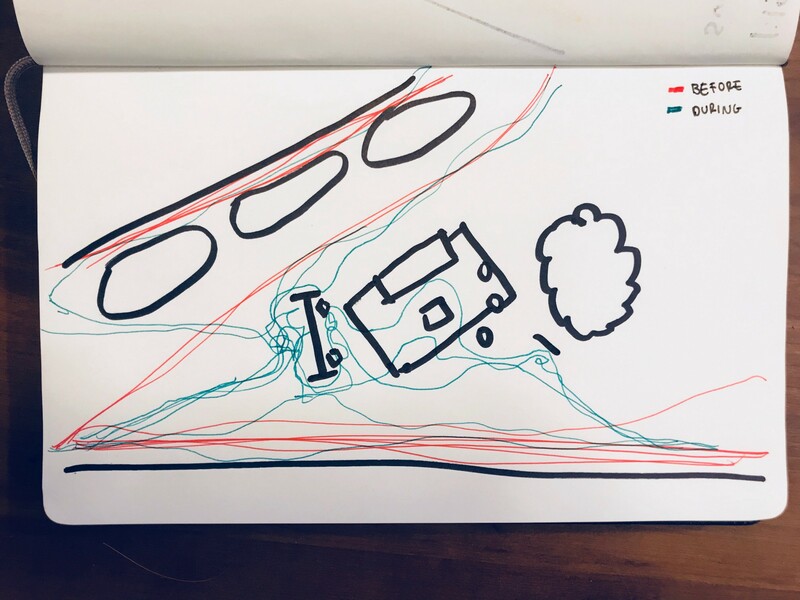 In addition, we learned from the residents’ feedback about other desired spaces and will incorporate these into our next pop-up. We also noticed that people tended not to spend as much time sitting down in the living room set. Part of this was certainly due to the temperature, but it was also because there was no programming there. At out next pop-up, we will include more activities such as board games, reading material, etc. For four hours, the park was transformed from a pathway people walked through, to a space that people stuck to and spent time in. At 2PM, we packed everything up in to a car, and left the square just as we had found it. This was the first CultureHouse pop-up, and there are more to come. For more information about CultureHouse, a future indoor public space and communal living room, visit theculturehouse.org and find us on Facebook. CultureHouse is a place to hang out, meet people, create, and share skills. It serves as an indoor public space and communal living room for the city.